Our GPs combine science with holistic principles to help optimise your health. 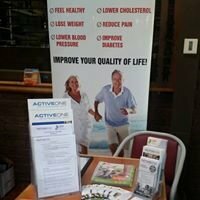 Do you have separate appointments with a doctor, naturopath, counsellor and chiropractor? Whether you are a new mum, a baby boomer ready to live the nomad life or a local business that wants to be proactive about employees' health, we take a whole-person approach to medicine. Established in 2009 as Peninsula Holistic General Practice, founder Dr Michelle Woolhouse led her team through an exciting transformation in 2017 to become Whole Medicine. The clinic combines science with holistic practices to delve deep into your health and wellbeing with the goal of uncovering any underlying health concerns not just treating your symptoms.